Mormaii is a surf brand with great appeal to sporty people. People who practises sports, go to the gym and care about their health and good shape. 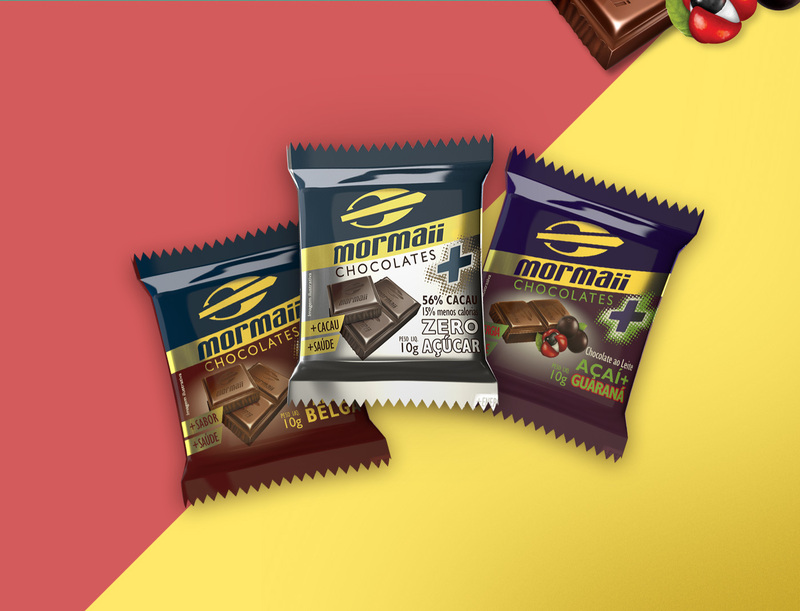 These were our target consumers when creating package design for Mormaii’s licensed energy bars and chocolate. 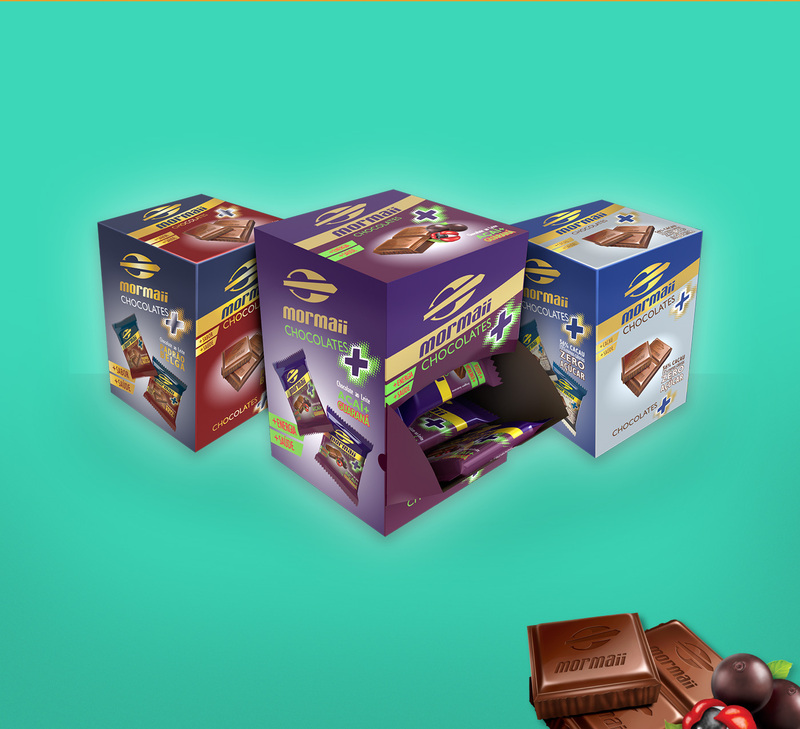 We created packages with contrasting colors and hyper realistic images to attract their attention. We needed to capture their attention first, and then inform them about the qualities of the product. We would deliver information about the highy energetic ingredients, all 100% natural dehidrated fruit, with no added artificial coloring, preservatives or sweeteners, in a dynamic design. 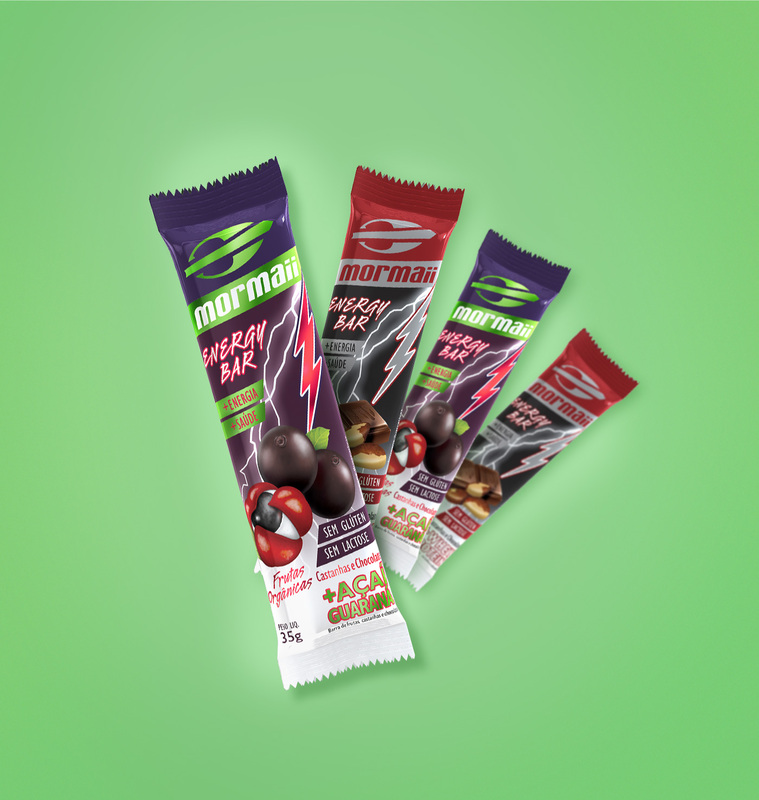 The energy bars line has three flavours: guarana with açai berries, whey protein with Brazil nuts and chocolate. 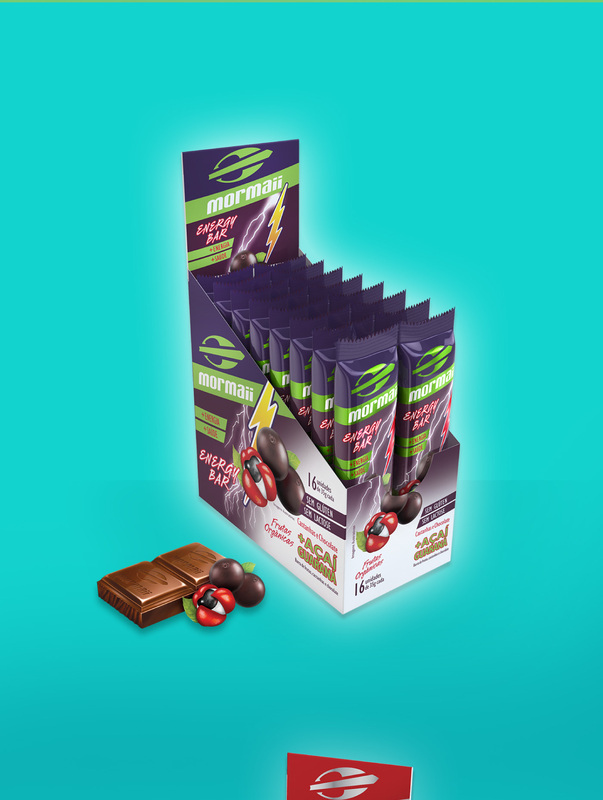 To enhance product presentantion we opted for metalized BOPP pouches for the packaging of the energy bars and card board boxes for their display on counters and shelves, ensuring great visibility. 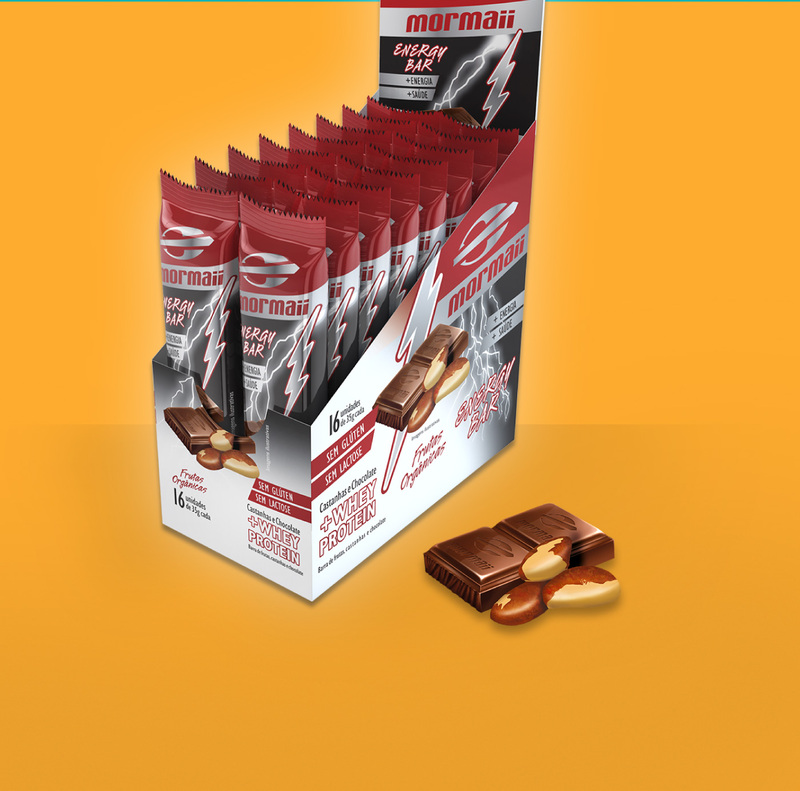 For the chocolate line, we created a cardboard display box for store shelves, with excellent opening system that facilitates selfservice. Strategies to shorten the distances between interest, desire and purchase.